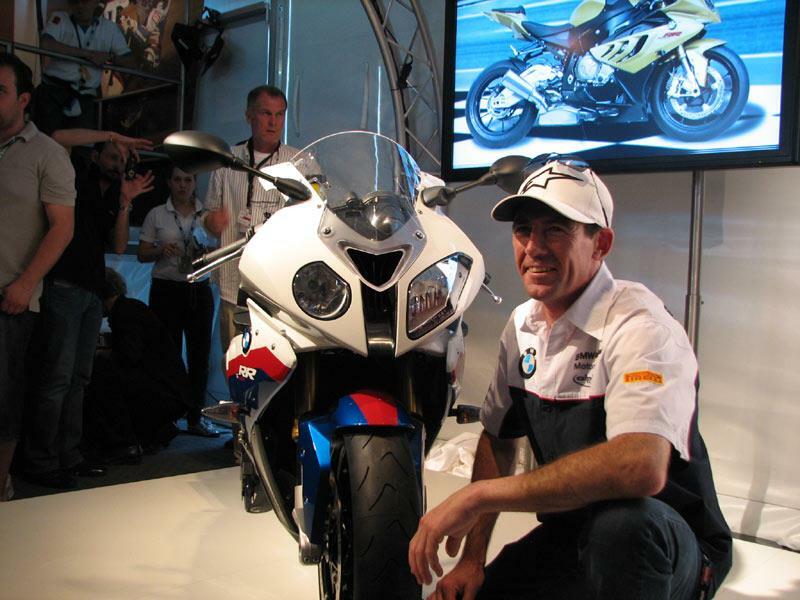 "It’s very comfortable to ride, very smooth power and very easy to wheelie"
Ex-WSB champion and team leader of BMW’s WSB racing effort with the firm’s stunning new S1000RR Troy Corser says road riders will be very impressed with the production version of the new superbike. Speaking at the world launch of the all-new S1000RR at Monza, the Australian two-time WSB champion exclusively told MCN that not only is the new machine a good and improving race bike in its debut WSB season, having ridden the new production road version, sport bike fans will be impressed with its power, comfort and usability. He said: “I think they’ve done a great job. Me and Ruben had a test ride on the production bike this week and to be honest it’s very nice: it’s very comfortable to ride, very smooth power, there’s a lot of power, it’s very easy to wheelie the bike. “Road riders will really like it. The seating position and the reach to the handlebars and the footpeg position is all very neutral and very comfortable.